Cao Yang has been teachin Crestar School of Dance since 1988. She used to teach Royal Academy of Dance (RAD), UK, The Commonwealth Society of Teachers of Dancing (CSTD), Australia and Beijing Institute of China – Bachelor of Performing Arts. She has participated actively in many dance performances in many dance programmes in school. 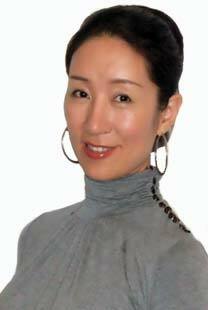 She has a strong passion for teaching ballet and she is passionate & patient teacher who enjoys working with children. She believes in imparting her skills to children, cultivating their love for dance and helping them to acquire ballet techniques with poise and grace. 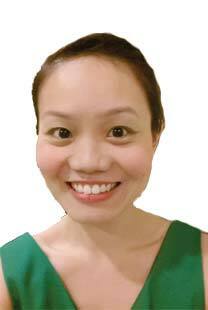 Ivy Chua is a registered teacher of the Royal Academy of Dance (RAD UK). Under the tutelage of RAD examiner Layna Chan, she completed her RAD Advanced 2 in classical ballet and received membership of the Associate Royal Academy of Dance (ARAD). She has also gained qualifications in classical ballet and modern jazz from the Commonwealth Society of Teacher Dancing (CSTD), as well as teaching Grades 1 to 3 classical Chinese dance graded examination from Beijing Dance Academy (BDA). As a dancer, Ivy has been invited to perform at several events such as Tropical Island (Berlin, Germany), on the TV show P.Ramlee, Kuching Festival, Kuching Day Parade and various charity shows. She was also a regular participant of the Layna Ballet Academy’s annual concert. 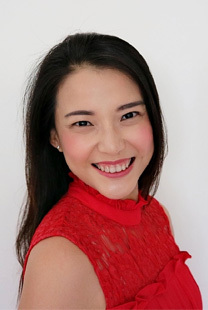 With a career in teaching for more than 13 years, Ivy has taught in Kuching and Singapore and is well-versed in both RAD graded and vocational examinations. With the belief that dance education should not be restricted only to syllabus work, Ivy actively sends her students for both internal and external dance competitions, and strongly encourages them to participate in summer schools. Passionate and eager to enrich herself and in turn her students, Ivy frequently attends local and overseas courses to gain exposure and experience. Some of these courses include RAD Performance Course (London), International Summer Dance School (Hong Kong), workshops from ballet masters Bertrand Barena (Opéra National de Paris) and John Byrne (FRAD) and matwork and reformer allegro session at Pilates Bodyworks. 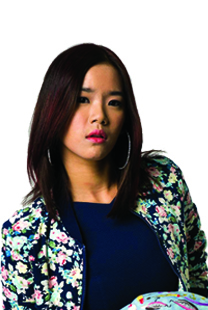 Cindy Toh started dancing at the age of 10. She had her formal training at the Singapore Ballet Academy and performed with the Singapore Dance Theatre (SDT), Singapore Ballet Academy and Attitude Performing Arts Studio. Cindy attained the Advanced II level of the Vocational Grade of the Royal Academy of Dance (RAD) and is an Associate of the RAD. She holds a Teaching Certificate with Distinction, accredited by the RAD and a Bachelor of Arts from the National University of Singapore. 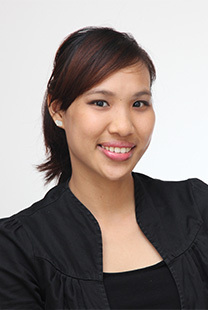 Cindy is the pioneer teacher at Crestar School of Dance Jurong East and has been teaching in Crestar for 18 years. Her students have won scholarships and numerous awards in various competitions. They include the elite SDT Scholars’ Programme, SDT Ballet Associates Course, Commonwealth Society of Teachers of Dancing (CSTD) Asia-Pacific/Singapore Dance Competition and Summer School, “Get The Beat” Asia Finals/Singapore Dance Competition and Hong Kong Challenge Cup. Several of her students have also auditioned successfully for The National Theatre Ballet School (Melbourne) Full Time Programme, Kirov Academy of Ballet of Washington, DC Summer Intensive, and Direct School Admissions to SOTA, Singapore Chinese Girls’ School, River Valley High School, Nan Hua High, St, Margaret’s Secondary and Anderson Junior College. Her students also perform actively, representing Crestar in the RAD Dance Gala, SDT productions and CSTD Summer School Concerts. In addition to nurturing young dancers, Cindy also guides and mentor trainee teachers as a Practical Teaching Supervisor, Mentor and tutor of the RAD Certificate in Ballet Teaching Programme. She firmly believes in education with a heart, helping each student achieve their personal best and supporting them in their all-round development. Pamela Carvalho was originally trained in Malaysia, and is proficiency in ballet, modern dance and jazz. 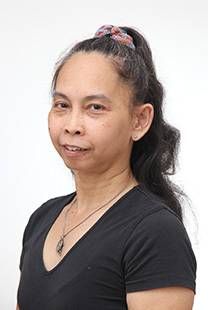 Prior to joining Crestar School of Dance, Pamela was a professional dancer with the People’s Association Company where she received training in Chinese Dance, and was also involved with the Malay Dance Group. 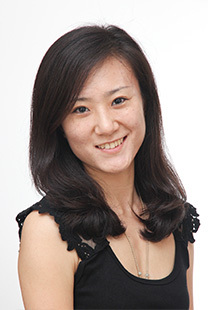 She performed in government functions and took part in the Chingay and National Day Parade with the dance company. The avid dancer has also performed in Thailand, Indonesia and North Korea. Pamela has been with Crestar School of Dance since 1995 and besides teaching; she has mentored young teachers as well. Many of her students have participated and won awards in regional dance competitions. Some have also won scholarship awards at the Commonwealth Society of Teachers of Dancing Australia Summer Schools. Allison has been teaching dance since 2006 and holds certificates from Royal Academy of Dance (RAD) and Commonwealth Society of Teachers of Dancing (CSTD) Modern Jazz certificates. She has participated in various large scale performances such as Ha Ha Harmony with Wild Rice Chilli Padi, NYP’s A Night On Broadway Musical, Christmas Carolling ar Resort World Singapore, Singapore Power Club’s Pre F1 launch, Singapore River Festival ‘Legenda Singapura’, Red Cross Drive at Royal Thai Embassy etc. Allison is a regular kids entertainer and events performer. She also teaches and creates dance programmes for her church. Cindy danced with the Liao Ning Ballet School in China before pursing her Diploma in Dance at the Nanyang Academy of Fine Arts (NAFA), specialized in Ballet Techniques – Pointe work and Pas De Duex, Jazz Dance and Asian Dance. In NAFA, she had performed variations of ballets such as Don Quixote and La Bayadere. In the same period, she also performed Giselle with the Singapore Dance Theatre. In 2008 and 2009, Cindy won 2nd and 3rd place in the Commonwealth Society of Teachers of Dancing (CSTD) Asia-Pacific Competition in Group and Solo Category respectively. Cindy had also achieved Distinction in her RAD vocational examination and has been teaching both RAD and CSTD syllabi since 2011. Hui Ji started her professional classical ballet training at the Shenyang Art School, China. She graduated in 2003 with a dipolma in dance and 2 years of professional ballet teaching experience in China. In 2004, she furthered her 4 years studies with a scholarship awarded by Beijing Dance Academy (BDA) for a Bachelor of Fine Arts Degree majoring Ballet for Professional Teaching & Performing. During her time at the Beijing Dance Academy, she studied Ballet Technique, Repertory, Pas de deux, Character Dance, Contemporary Dance Technique, Ballet Pedagogy, as well as Historical Dance. She is a registered teacher with The Commonwealth Society of Teachers of Dancing (CSTD), Australia and Royal Academy of Dance (RAD), United Kingdom. She also holds a Teachers’ Certificate (classical) with CSTD and Certificate in Ballet Teaching Studies with RAD. Hui Ji obtained Distinction in vocational examinations for RAD and Honours Plus in major examinations for CSTD. Using her practical experience as a professional dancer in The Four Temperaments, Swan Lake, La Fille Mal Gardee, Giselle and Paquita etc. Hui Ji translates the above into practical and technically proficient teaching methods for her students. Joy Foo started ballet at the age of 4 with Crestar Learning Centre. She has completed her RAD graded examinations with distinction and completed all major grades till Advanced 2. Joy is also a graduate with Degree in Banking and Finance from University of London, Joy holds a Ballet Teaching certificate from Royal Academy of Dance. She had participated in numerous summer schools and was awarded 2nd for Neo classical (group) for 10th Asia Pacific Competition. Joy’s passion for dance had also turned her from being a student in Crestar to a current teacher of Crestar School of Dance. Her love for children has inspired her to be a teacher and developed a profound interest of working with children of all ages. She had also choreographed dance items for various annual dance concerts and competition. She hopes to become a beacon of inspiration to her students, many who hopes to be able to teacher ballet like her someday. 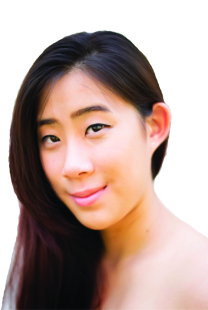 Laureen Lin is trained in both the Commonwealth Society of Teachers of Dancing (CSTD) and Royal Academy of Dance (RAD) syllabi. She is a registered teacher with the RAD, holding the Certificate in Ballet Teaching Studies and an Affiliate teaching member of the CSTD. A Bachelor in Early Childhood Education and Leadership graduate, she has over 8 years of teaching experience with children in pre-schools. 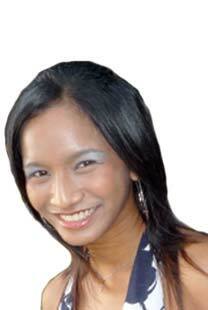 Laureen has been teaching with Crestar School of Dance since 2009. She has participated in extensive dance activities in schools as well as for Summer Schools for both RAD and the CSTD. She also actively participates in dance workshops conducted by renowned dancers and examiners. 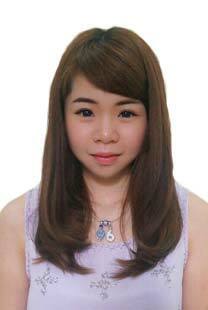 She is currently teaching in Crestar Hougang and Marine Parade. She has a strong passion in teaching dance and a patient person who enjoys the challenges of working with children. The 20 year-relationship with dancing started off with ballet and eventually ventured further into a mixture of dance forms such as Chinese and Modern dance. 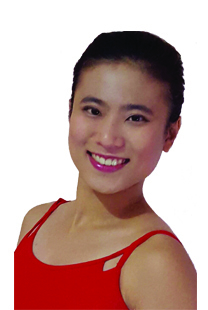 Not only is Wei Lin an affiliated member of The Commonwealth Society of Teachers of Dancing (CSTD), she has also attained her Royal Academy of Dance (RAD) Advanced 1 certification. Armed with these qualifications, her experience in teaching is a vibrant one ranging from toddlers to teenagers. In addition, her participation in CSTD 10th Asia Pacific Dance Competition; “Technicolour of Dream” Dance Concert as well as outside performances create a holistic development. She strongly believes that dancing is influential. Through her passion and experiences in dance, she hopes to further encourage the next generation. Masakorn was born in Thailand. She developed her interest in ballet since 2003. She is trained in Royal Academy of Dance (RAD) syllabi with distinction in all graded examination; she continued her RAD and Commonwealth Society of Teachers of Dancing (CSTD) major grade at Bangkok Dance Academy. While there, she has also participated in the Asia Pacific Dance Competition, Bauhinia Cup International Dance Invitation Championship and Asian Youth Dance in Hong Kong. In 2015, She received her Diploma in Dance from Nanyang Academy of Fine Art, Singapore with a 3-year scholarship. She feels privileged to have worked under renowned choreographers such as Ms. Wallie Wolfgruber (USA), Ms. Rosalind Newman (USA), John Mead (USA) and James Cousins (UK). While at NAFA, she has also performed in their showcases, such as: Dancers @ Work and Crossings (Diploma project) and at the Tari festival in Everything&Nothing by James Cousins (UK). She is now an affiliated member of Commonwealth Society of Teachers of Dancing (CSTD). 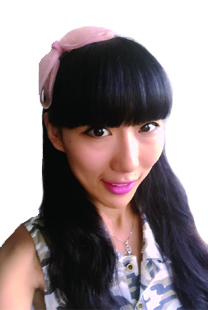 Phang Zie Shan has been teaching dance since 2007. She joined Crestar School of Dance as a full-time teacher in 2010. Previously, she was trained under an RAD examiner base in Malaysia. She obtained the RAD Certificate in Ballet Teaching Studies in 2009 as a RAD registered teacher. Besides, she is also qualified in Chinese Dance by Beijing Dance Academy (BDA). Zie Shan had trained numerous students from Pre-ballet to graded levels for RAD examination. She constantly updates herself with the latest RAD syllabi through attending seminars from RAD. For choreography and performance, Zie Shan had experiences in various concert events in classical ballet. She has great passion in dancing, learning over time and loves to share her dance knowledge with the future generations. 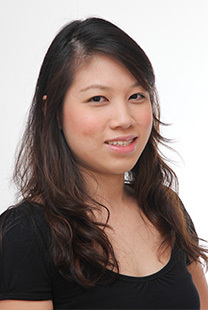 Rebecca Phua received her BA (Hons) in Dance from LASALLE College of the Arts, Singapore (2009). She was trained by many prestigious dance artists including: Ravenna Tucker, Jaime Redfern, Tammy L. Wong, Silvia Yong, Cheng Hsienfa, and many more. Her performance credits include works by Loretta Livingston (USA), Ming-Lung Yang (USA), Jaime Redfern (Australia) and Albert Tiong (Singapore). Rebecca Phua has choreographed for various performances held by LASALLE College of the Arts, and her recent piece Once Upon A Time was performed in SPROUTS 2010 – The Final Showcase. 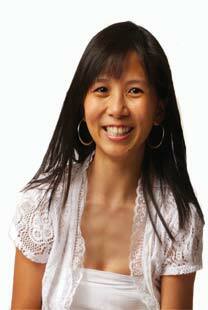 Rebecca Phua is a certified CSTD teacher. She has taught Contemporary Dance in public schools and Ballet in private dance studios and is currently a teacher in Crestar School of Dance. 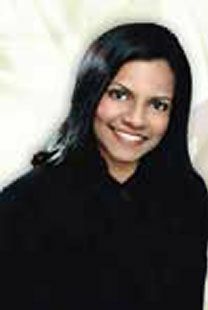 Having extensive exploration on dance safety, prevention of injuries, The Alexander Technique and The Pilates for her thesis research, she has created a curriculum designed on dance safety for her students. Tricia has been teaching in Crestar since 2003 and has sent many of her students for numerous concerts and performances organised by Crestar. She holds a Teaching Certificate from the Royal Academy of Dance. In addition, she is also a graduate of Diploma in Mass Communication, University of Humberside (UK) & Griffith University (Australia) and Advanced Diploma in Mass Communications, Oklahoma City University. She believes in imparting her skills, cultivating their love for dance and helps them to acquire ballet techniques with poise & grace. 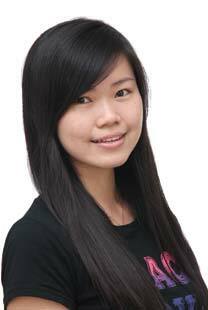 Vivian Chieng is trained in both Royal Academy of Dance (RAD) and Imperial Society of Teacher of Dancing (ISTD) syllabi. She has been teaching in Malaysia. Vivian won third prize in the 1st North Malaysia & South Thailand Dancesport Championship 2008 under the category of Latin Beginners Ladies Event, and also first prize in the 4th North Malaysia & South Thailand Dance sport Championship 2011 under the category of Ladies Event and Solo. Vivian is an outgoing teacher who has been actively participated in various performances e.g. The Launch of Calisthenics of Art & Culture Council Malaysia 2008, Dynamic Show dance Program 2011, and the school military band concert. Yvonne is a passionate dancer and teacher who loves the performing arts, reading, language and going green. She started dancing in 2009 with NUS Dance BLAST!. Since then, she has been involved in many school dance productions and recitals as a dancer and also, as a choreographer. She also partakes in external performances such as the National Day Flashmob and the Youth Olympic Games 2010 Flashmob. Yvonne is engaged as a dancer with the Universal Studio Singapore in 2011. 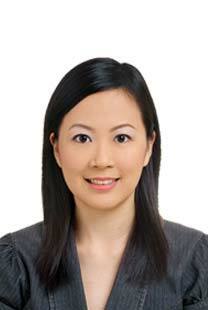 She graduated from the National University of Singapore in 2012 with a Bachelor of Science (HONS) in Real Estate. She joined Crestar in 2012 and currently teaches Hip Hop classes to kids and adults.